Another new comics book day has passed and another large haul from my LCS. When I approached the shelf to pick up this week's titles, it dawned on me that this was quite the big week for Marvel. The much hyped Death of Wolverine began (with a great issue!) and we enjoyed the conclusion of Original Sin. I quite enjoyed this event and hope it has a lasting impact on the Marvel Universe. Not to be outdone, DC began its Futures End push complete with lenticular covers. I picked up the Batman Detective one shot and might add more to the collection next week. Nailbiter #5 - I enjoy this series more with each passing issue. Joshua Williamson has spun quite the complex web in the town of Buckaroo, Oregon. The shocking reveal that Agent Carroll was alive last issue has turned the investigation up on its head. Some of the pieces aren't quite fitting together properly as if Finch and Shannon, the two currently on the case, are having their strings pulled. One thing I love about the characters in this book is that they are neither completely good or completely evil. It reminds me of the characters in Miyazaki films. Even the villains have their redeeming qualities and are far from being one-note. Here's hoping they collect the first arc into a deluxe trade with lots of extras. 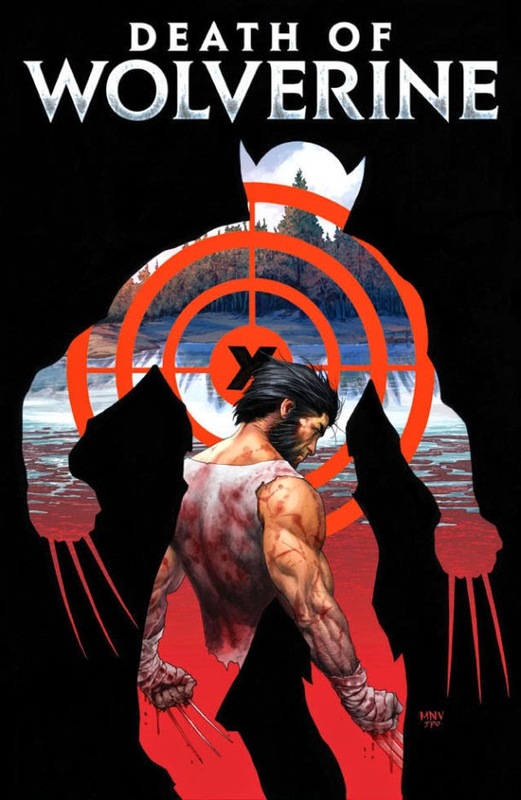 Death of Wolverine #1 - Even though it set me back $4.99, this title was simply breathtaking. The artistic team of Steve McNiven, Jay Leisten and Justin Ponsor really produced a beautiful book and Marvel went the extra distance with the glossy cover and the bonus features in the back. Normally when a book has the extra pages and costs more I am not too pleased, but was happy Marvel included this. In terms of the story, I had my doubts about this one, but Charles Soule (who I shouldn't have doubted) delivered and I am looking forward to issue #2. I am just curious how long Logan will remain dead. 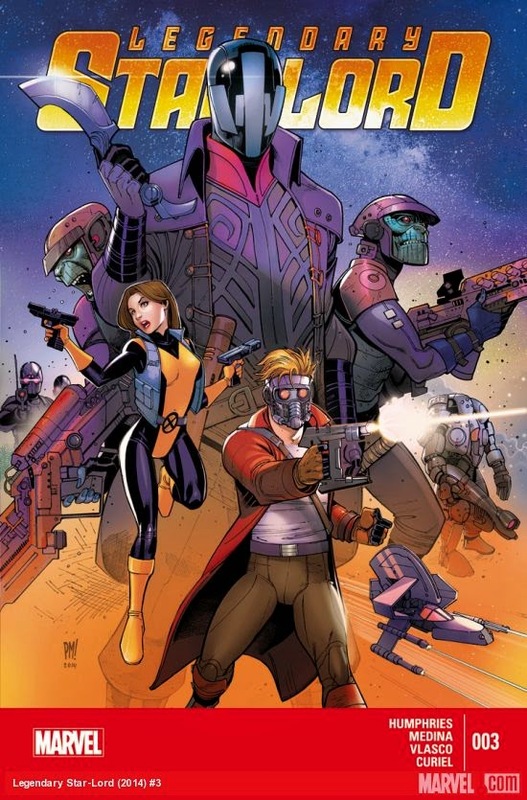 Legendary Star Lord #3 - While not the deepest or most compelling story of this week's haul, Legendary Star Lord sure has been a fun ride. Any issue that includes lyrics from the Aquabats and has Kitty Pryde dressed up in a banana suit can't be that bad. The humor, when it hits, is quite good, but there are some times it feels like it's reaching. 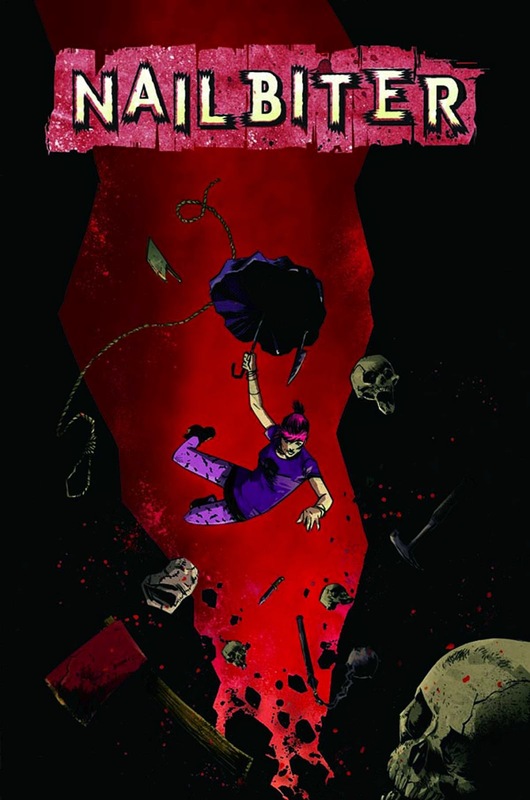 Despite the jokes that miss, Sam Humphries has a quality title on his hands and I look forward to seeing where the story goes. It seems he has put some pieces into place that could pay huge dividends moving forward. Original Sin #8 - We finally know who killed the Watcher! Original Sin came to its conclusion this week and I must say that I enjoyed this event. While I feel it didn't deliver as much in the end as I initially hoped, it was a quality event that will hopefully have some lasting effects. Some of its immediate impact were felt at the conclusion, but I am curious how long Marvel will stick to them. My favorite thing about the final issue is that a secret is kept from someone at the end. I thought it was very fitting to end an event that was about having secrets revealed with the start of a new cycle of deception. After all, sometimes secrets are best kept secret. 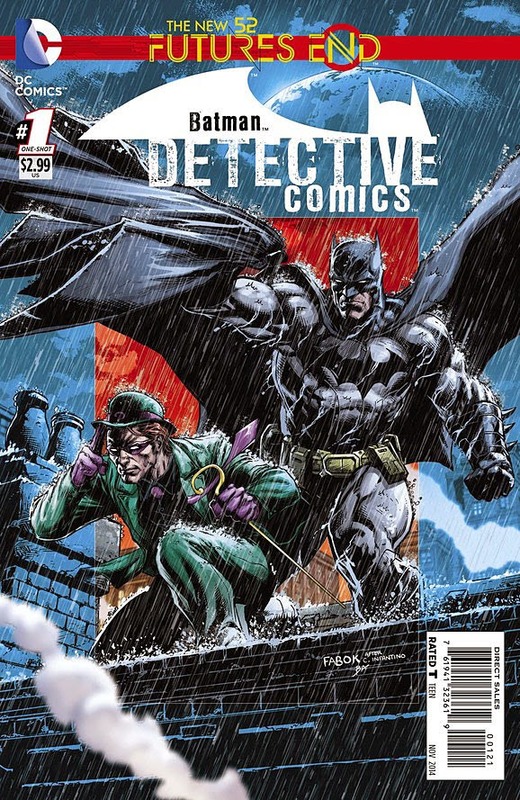 Batman: Detective Comics #1 - Nice one-shot that any fan of Batman will enjoy. It had a fun twist at the end and was an overall enjoyable read. It mentioned some facts that should come to light in Futures End so it was a nice tease. Lenticular covers normally don't do much for me, but this one is very impressive. 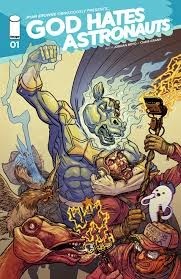 God Hates Astronauts #1 - I have no idea what I just read. I am certain that Image is the only publisher that would run with a title like this and am fond of the character Admiral Tiger Eating a Cheeseburger. Turns out that his name is extremely literal and he is the son of King Tiger Eating a Cheeseburger. 3-D Cowboy (who is a ghost?) narrates this bizarre title. I think I am intrigued enough to return for the second issue as King Tiger Eating a Cheeseburger has declared war. The appeal of this book, aside from how absolutely insane it is, might be the idea that it inspires hope that I may have an idea for a comic that is better than this one.